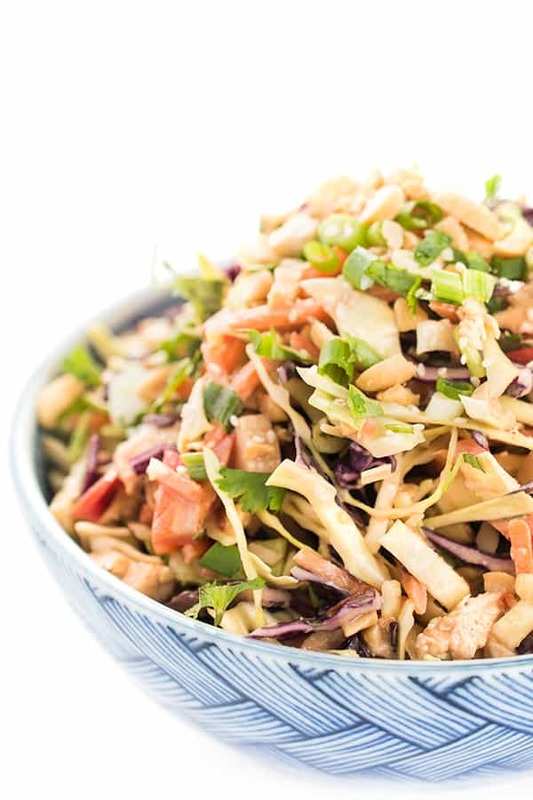 A healthy version of the restaurant classic, this crunchy, flavor-packed Chinese chicken chopped salad is filled with veggies and tender chicken tossed in a creamy, peanut dressing. 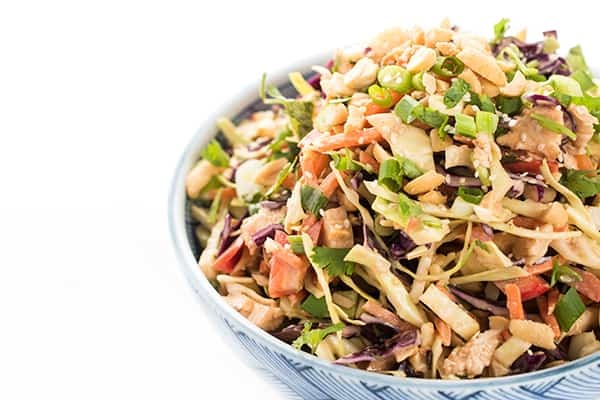 Whenever I see a Chinese chicken salad on a restaurant menu, I always order it! How can I resist the salty, sweet, crunchy, savory goodness?! 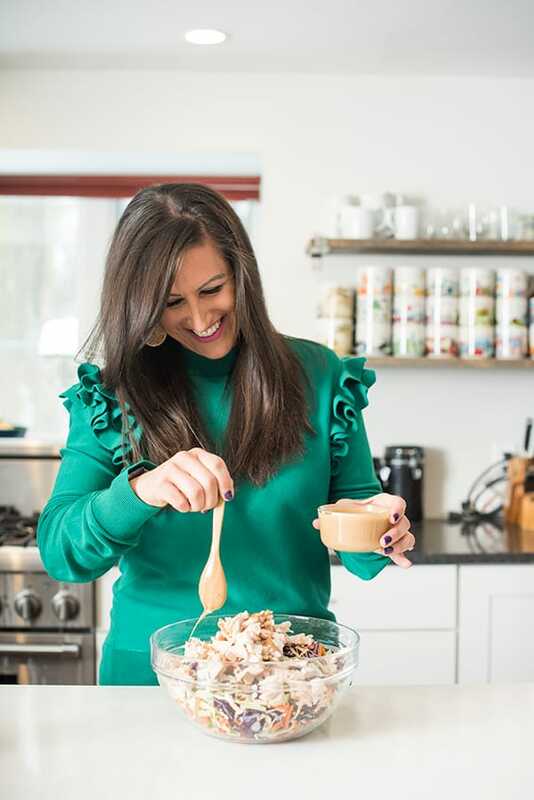 Like any restaurant dish, making it at home is always the best way to slash calories and control the quality of ingredients. By making a few simple swaps, I’m able to turn this into a healthy, guilt-free dish I can enjoy on the regular. 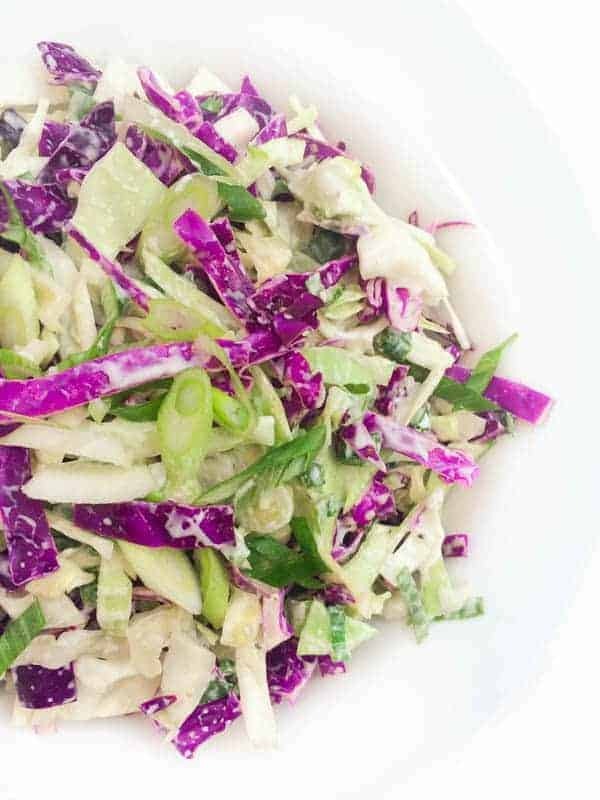 To start, I add TONS of crunchy veggies that fill me up with few calories including red and green cabbage, red bell peppers, scallions and shredded carrots. 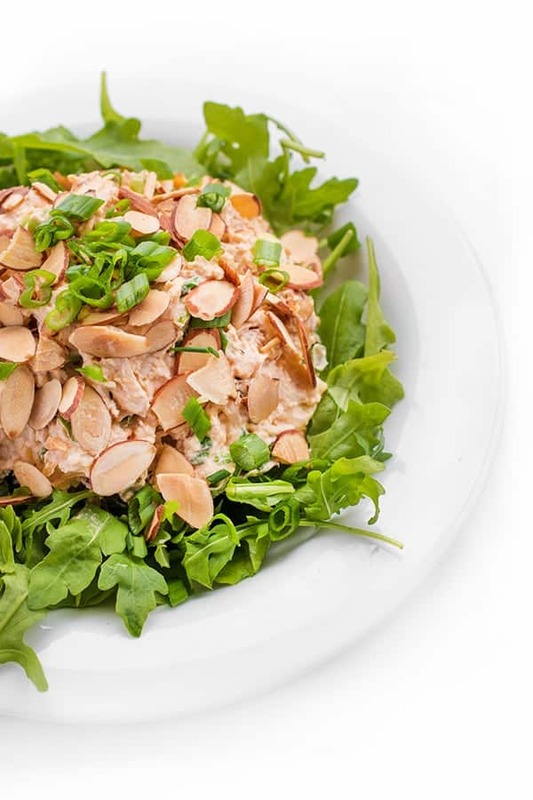 For added protein and healthy fats, I add in shredded chicken breasts and chopped peanuts. 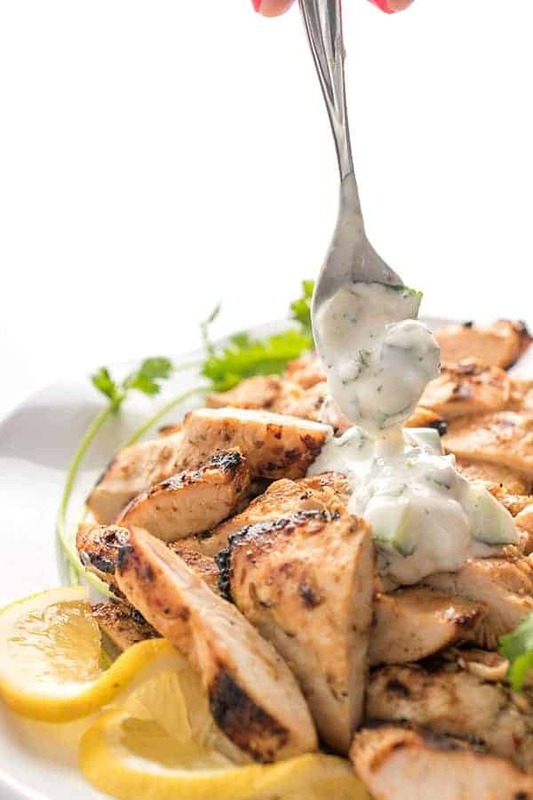 This is a great way to use up leftover rotisserie chicken but you can use any leftover meat you have on hand such as pork tenderloin or steak. For the creamy peanut dressing I use natural peanut butter, sesame oil, soy sauce and fresh garlic. Chili paste such as Sambal Oelek gives the dish a nice kick of heat which you can dial up or down to taste. While most restaurants add sugar to the dish, I skip it to save empty calories. Want to make it a bit sweeter? Whisk in a little brown sugar to the peanut dressing. 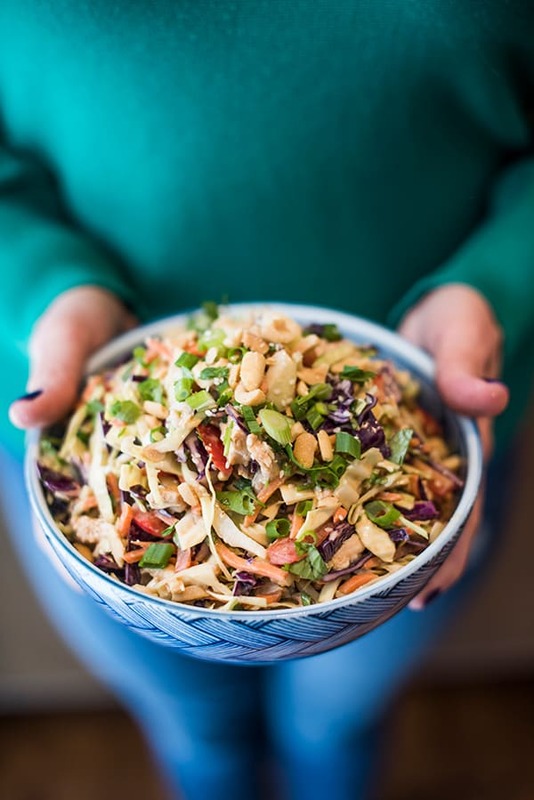 This crunchy, flavor-packed Chinese chicken chopped salad is filled with veggies and tender chicken then tossed in a creamy, peanut dressing. 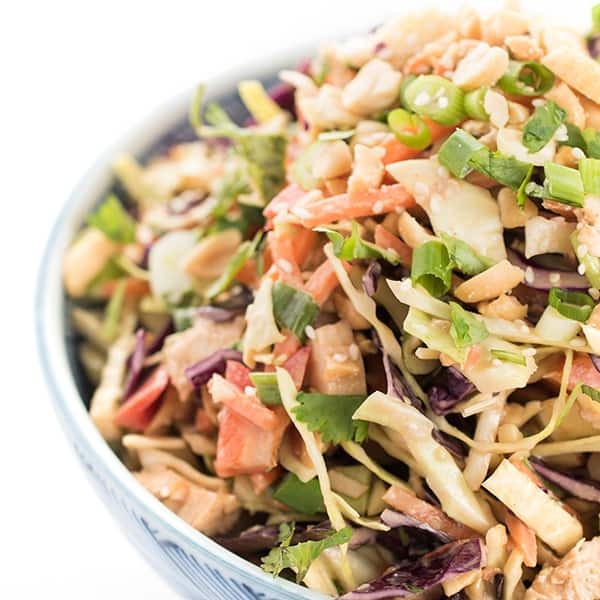 All all of the salad ingredients to a large bowl (cabbage through roasted peanuts); set aside. 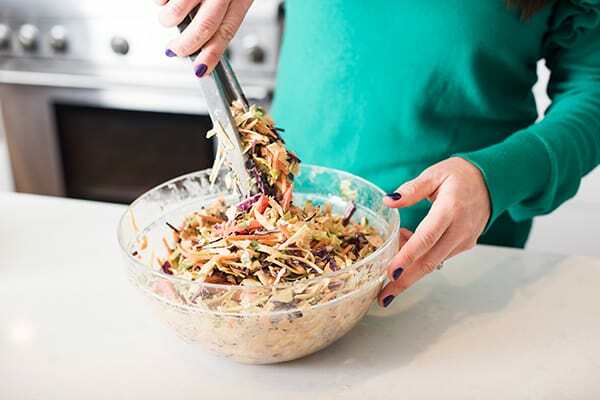 In a small bowl, whisk together dressing (peanut butter through garlic) until smooth. Add a bit of warm water, 1 tablespoon at a time, to thin if you prefer a thinner consistency. Note: you may need to add additional salt to taste. 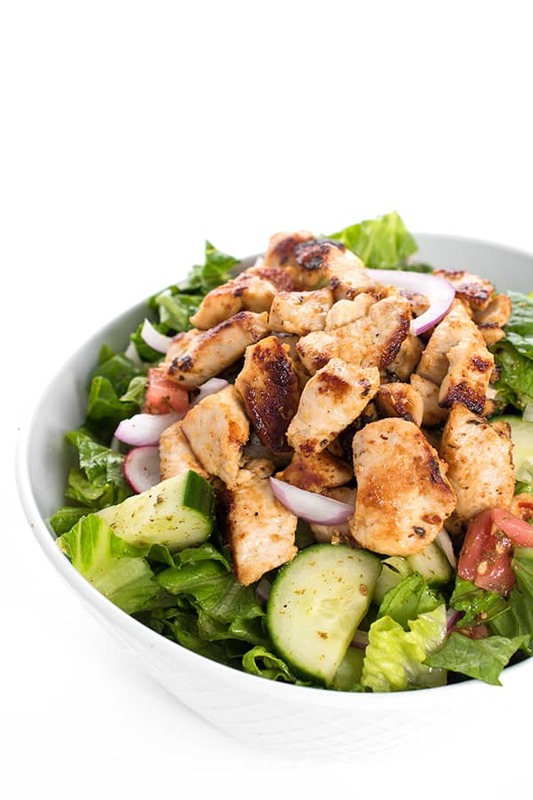 Drizzle dressing over the salad and toss well. Check for seasoning before serving and adjust accordingly. 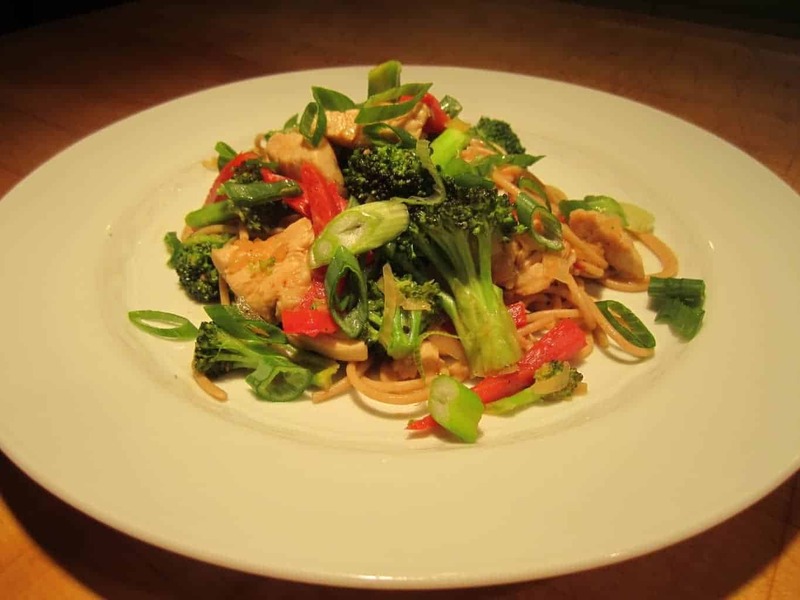 Interested in more Asian inspired recipes? Check out my Pinterest board! Love it when I can make a healthier version at home! Looks fantastic! I seriously need to give it a try! Looks really flavorful! This salad is AMAZING! I made it last night an will have it again for lunch and dinner today.